The Jeju Convention Bureau has opened a training course for those wanting to acquire the second level convention agency qualification. The course will run once a week for four weeks from March 30. The second level convention agency qualification is a nationally recognized certificate and is tested twice a year. The course curriculum was designed in accordance with the test schedule. Application for the course will open one week before March 19. 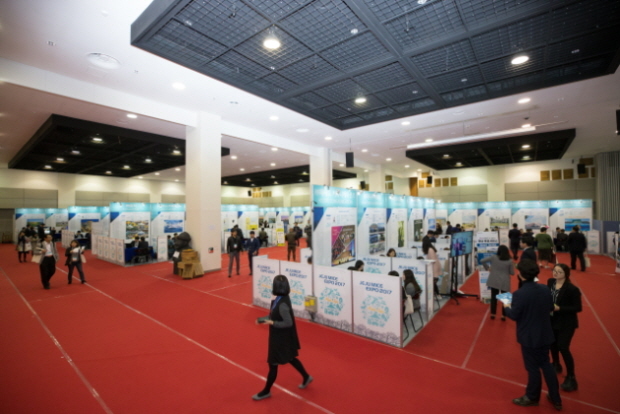 In this interview, we spoke to Jeju Convention Bureau marketing manager Mr. Cho Jin-hoon about the course. Q. What are the merits of the Jeju MICE Academy? A. There are MICE-related courses run by many different institutions. However, we have put more emphasis on designing a course that actually results in certification. We have tried to include content that helps students directly with the certification exam. It will also teach students the knowledge they will require when they start working in the MICE industry. Q. Who will benefit from the education program? A. On Jeju, as well as students and those preparing to enter the workforce, people who are already working have a strong desire to develop their skills. Before now, there was no program that could meet their needs. We were surprised that the last time we ran the course, around 50 percent of the participants were students and around 50 percent were people who already had jobs. We planned to run the course for 50 students but surprisingly more than 70 people applied for the program. Q. How many more similar education programs do you plan to do this year? A. The national qualification test happens twice a year. We have designed our curriculum to help students with the actual exam, so we plan to open the program three times this year (including this time) to meet the exam schedule. Q. As the person in charge, do you have any wishes for the curriculum? A. I hope that more people in Jeju can advance into the MICE profession. Jeju is regarded as being one of the top three MICE cities in the country, but there are still many areas where it trails behind the big cities like Seoul. In that regard, I hope more people from Jeju can go to Seoul and learn more advanced techniques. After gaining more experience in this area, they can return to make Jeju the best place for MICE. For more information, please contact Park Sunyoung, Education Team Manager (T. 010-3924-6754 / coreavi3@naver.com).